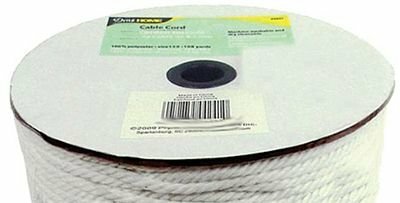 100% Polyester cable cord to make coordinating piping or welting for home projects or to use at a drawstring with knotted ends. Machine washable and dry cleanable. Size 70, 5/32in wide. White.